We all are very well aware how WordPress has revolutionized the world of web design and web development, and how it has changed the way we used to think about web design. Now if you are familiar with WordPress, it seems to be just a matter of hours to build an excellent website of your own without worrying about coding. WordPress has helped create thousands of employments in the field of web design. Now a person who is well-versed in WordPress, which is really no rocket science can earn a good profit by the business of building professional websites for a very reasonable charge. Similarly, the developers and the web designers are also equally benefited by WordPress as they can now transform a ready-made plugin or theme according to different needs and put them up on sale to get a handsome sum of money in return. It is WordPress layout builders which have made it all possible. WordPress theme companies, one after another launched their layout builder plugins. All these page builders work on WordPress admin panel i.e. at the back-end and to have a live look at the changes, you have to see the preview of the page separately. Up until now, It has been only Beaver builder plugin which worked on the front-end and the changes made could be appreciated live. With Beaver builder, you do not have to access back-end to make a change to the page design. 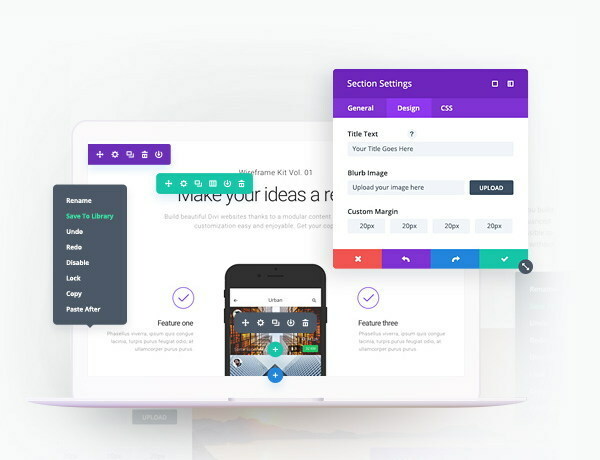 But the newly launched front-end version of Divi builder is really iconoclastic and WordPress community is in awe and positively flabbergasted. We are happy to admit that we never came across a more flexible and faster front-end builder. whatever change you make, it instantaneously starts reflecting. One more thing about it which you cannot help appreciating is that this layout editor never makes you feel that you are editing a layout. In other words, the layout always appears to be live. With Beaver Builder, sometimes the version shown by layout editor is a little bit different than the live version but Divi Builder always shows the live version. Another thing worth mentioning is if you have added some text to any section of the layout, you are able to inline edit that text, in the same way you do in a text editor. To this end, you do not have to open module options. Just click on the text and inline text editor appears with which you can not only change the text but also you can give text styling a go like font type, size, decoration etc. As far as options and flexibility are concerned, we can tell you for a fact that Divi Visual Builder is matchless and no other plugin is nowhere near Divi Visual Builder. Admittedly, Divi Visual layout builder has made other big fish antsy. Like the developers of Visual Composer and Beaver Builder. These other magnets of web design world should be for sure in search of that magical philosopher's stone that Nick Roach and his team has gotten hold of and which is making it all possible. The live editing accuracy of Divi Builder and its being faster than usual would be perplexing its rivals. And it is true that there is no tool in the realm of WordPress themes and plugins which works so fast. If you are using Divi Visual Builder, you or your clients do not need to select even admin panel. Divi Visual builder works completely at the front-end and it does not occupy any part of your website. It works solely inline. When you hover your mouse over a blank portion of a page, a small circle appears. By clicking on this circle, You can add a section and similarly add a row, a column or a module to it. What options a section or a row, or a column or a module has to offer appear only when you drag mouse over it. Otherwise this layout builder does not take up any part of your page. Besides being an inline editor, it is a consummate, full-featured drag and drop builder. Though this visual builder does not add any option panel of itself to the front-end yet it is a full-featured page builder like Divi back-end builder. You can create columns, displace modules from one place to another. You are able to copy, paste and duplicate modules. Even you can browse module options. Often when you want to edit some text which is in a module, you have to open module options and it is only after that you are able to change the text. But Divi Visual Editor allows you to do this without any need to open module options. You can edit/change any text on the page by just a click of mouse. Moreover you can style the text. You can re-position the option window of a module, section or a row anywhere on the page. Not only this, you can resize the option window or you can align the option window like a sidebar on the left of the page. Height and Width of a row can be adjusted with the help of mouse. Just like in grid builder of Headway theme, you can create columns of desired height by dragging mouse, Divi Builder seems to be on the same track and similar features are being developed. Admittedly, at present you can control only height and width of a row but it is just starting and in the future we can expect much more. 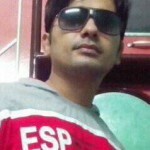 Divi page builder is one of the best plugin for WordPress. I often use this plugin in my project. 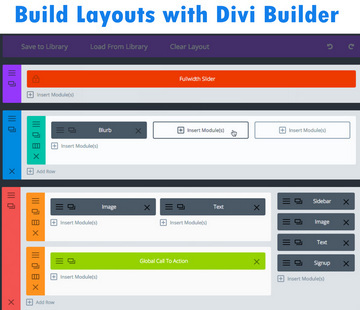 Divi page builder can help you to create awesome website and has a lot useful elements.